We've been raving about the GCVideo HDMI mod for the GameCube for a little bit now, but what we haven't yet done it compare the quality to that of your average AV to HDMI converter; a common option for those trying to get older systems and games onto modern screens. These cheap devices present all sorts of issues with image quality, but also audio quality and input lag. The results you can see in the video below are also fairly representative of many analogue to digital converters found inside modern televisions, most of which are afflicted by the same issues. The mod serves as a way to get the highest quality possible from your games on original hardware, and most importantly for those in the PAL region it also deinterlaces those horrible interlaced signals that plagued our childhoods. 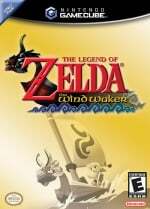 Check out the video below where we use the original version of The Legend of Zelda: the Wind Waker to illustrate our point, and of course make sure you get yourself signed up or 'subscribed' if you like to our YouTube channel so you never miss another one of our exciting videos! Yeah, I'm gonna wait for the plugin version to come out, assure that it has no lag and I will surely dip in. The amount of GameCube games I still play nowadays is insane. Kind of pointless, anyone who is even slightly aware of this sort of thing knows that an AV to HDMI converter is going to be much lower quality than a proper HDMI mod that pulls signals right from the console before they're ever converted to analog. Holy $h1t€ in a bucket that looks nice. Makes the Wii U HD remaster less impressive knowing that part of the problem was the signal to your TV. Wii U doesn't have that issue. can this be tested against a gamecube game in a wii and/or wii mode in wii u? also, can the next test be pn03 or beach spikers? it would show how rounder, curvier shapes are displayed with a clean digital output. the blur might help hide jaggies but it looks like the hdmi from wind waker helps even there. plain text also looks strangely better from the cheapo converter, for some reason. I honestly can only barely tell the difference and that was after studying it for awhile trying to figure out which was which. Either way, though, that price point... Yeah, even if it was a night and day difference, I have no idea why someone would spend that much on something purely cosmetic. I don't get why Wii games don't look this good on WiiU, why theres no noticeable improvement between RGB and HDMI? I would like to see a video showing how this compares to playing Gamecube games on a Wii console. @Farpun I couldn't tell any difference playing Wii games on Wii U either. Please buy SD Media Launcher for the NIntendo Gamecube, run Swiss homebrew and turn on Force 480p on PAL GC games, the quality is 100 times better than 480i with linedoubler enabled. One major problem with this. At that price I could just buy the GC component cables and pretty much have something just as good without shipping my GC to someone to mod. Pretty amazing quality. There were times when I thought I was watching the Wii U HD remaster. So, does this essentially just do the same thing as the Gamecube Component cables.... Without having to buy the cables? Right now, £167.00 is equal to $236 US dollars which is about what it would cost for the cables on eBay... Maybe even a little more expensive. I'd rather buy the cables and keep my gamecube in its original condition if that's the case. detailed information of the game's native resolution by holding L+R+X+Y. You are not required to use Nintendo A/V cables for sound and it automatically linedoubles 240p content to the point that it's possible to setup Gameboy Player/Interface (homebrew) in 240p and use A/V cables for CRT and HDMI cables for Capture Card to record/stream or simply a LCD Monitor to prove there's no input lag. Yep, it's definitely easier to see the difference between the mod and original by using Wind Waker instead of Melee as it's easier to see any noticeable differences. I'll probably get one of my spares (don't ask) modded when my local resellers start fitting consoles. I already have a component cable for my main console, but I'd like to see how much greener the grass is with the HDMI out. Yes, I'm a little bit nutty about picture quality. Can you pit this mod against something in a more comparable price range? Facing off a $300 mod with a cheap (>$100) converter hardly demonstrates the value of this modification. At the very least, I'd like to see it against a Wii with component out. That is a cheap and readily available option. For the purists, a better comparison would be the GCVideo HDMI vs. RGB through the Framemeister. From what I understand, RGB to Framemeister produces an image very close to the sought after GCN component cable - and the price tag is similar to the cost of modification. A shout to the folks at Video Game Perfection for reaching out and answering some questions about this mod. Thanks @BuckoA51 ! It's great to see people pushing the boundaries of these old consoles, and helping to usher the original hardware into a world of home video that is increasingly incompatible. No problem! We offer these mods to give people choices and to keep classic hardware going on modern displays, I appreciate it's an expensive upgrade particularly if you already have the component cables, but with the component cables so rare and expensive this is a very viable alternative for those that don't have them. As for RGB and the Framemeister, remember RGB is limited to 480i on the Cube. Component through the FM at 480p isn't that great and many TVs do a better job on their own. Should had used another game instead of Wind Waker as that one was already in HD for Wii U. Metroid Prime or F-Zero GX would had being the best to demonstrate this. Honestly, all I see is a 640x480 game stretched out to an HD resolution. Nice effort, but bigger isn't always better in this case unless you do it from scratch. Pfft £167. They charge £33.75 for multi region aswel, thats a total rip off, my xenoGC multi region chip cost...drumroll...£1.68 only and was easy as hell to fit. Cowboy outfit you are promoting here. Yeah, as much as I'm anti-PC "master race" and all that, I think at that price point I'd rather stick to Dolphin, especially what with its ability to remove the HUD completely through GameShark codes. I'm not kidding when I say this is a function every game should have, but especially ones with heavily intrusive ones such as TWW. Once you've got the muscle memory down pat, it's just a waste of resolution space. Of course, the game looks and sounds about as good as this by using component cables. The better comparison to make would be playing Wind Waker on GCN or Wii with component cables vs this HDMI mod. Wind Waker's graphics are more about clever tricks and artistry than pixel pushing and polygon molding anyways, so the HD buff isn't a huge boon to it. Wind Waker still looks and sounds better on Dolphin, since the emulator actually properly post processes the source code's resolution and sound codecs. An HDMI converter will not accomplish that task on it's own, no matter how much purists may want it to. If not for the exorbitant price, though, this is a neat hacking accomplishment. Waste of money, there's little difference, and at that point you should just use Dolphin. The people pushing emulation clearly don't understand the aim of this project. I'd like to see a comparison against that!